My father loved tennis, he used to play at the weekends and I had a tennis racket in my hand more or less from birth. I loved the game from the beginning and spent as much time as possible on the court. 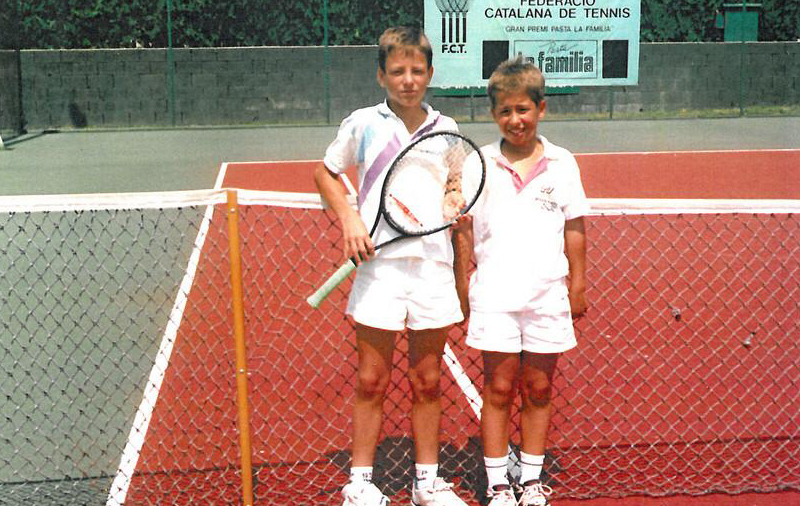 By the time I was five, my father was a tennis coach, so he started training me. Everything started there. I had a good education at home. I learned to fight for the things I wanted to achieve. That’s been my best inspiration. The most important thing is to try your hardest and give 100%. If you achieve your objective, great. If not, keep working toward it. That’s what drives me. I love to play. And I love trying to improve every day. You’ve got to prepare well for every match. Warm up well, and start the match focused, motivated and with a good level of play. If things don’t go your way, be mentally strong so you can turn the match around. When a match is really even and you end up winning, it’s one of the best feelings in the world. Those are the games I love. Competing with my opponent to see who’s best. That competition is one of the most fun things in the world. It’s what I love most about tennis. That’s where the mentality is so important. All the pro players are physically very fit. So the difference is the mental strength. When you’re mentally solid, you feel physically stronger, and if you have a physical problem, it affects your confidence. The two things influence each other for sure. But the mentality is the most important side – physically you can recover in maybe a few weeks. But mentally, sometimes you need longer. Qualifying for the 2006 ATP Tour finals in Shanghai and winning my home tournament, the ATP Barcelona Open, were pretty special. My victory at the ATP Masters Series event in Hamburg and winning three Davis Cup titles with Spain were all great moments in my career. I’ll always remember those. Right now my challenge is to get back into the tennis elite. Back into the top rankings, where I was before my injury. That would be great. It will be really tough after a year and a half with injuries, but I’ll give everything every day. I’m really excited to be back playing. That sense of objectives is important to me. Achieving your goals after lots of effort is a fantastic feeling. And if you don’t get there, you keep fighting to improve and get there in the end. Sport is a clear illustration of what life is about. It’s why I love sport so much. Sport is a clear illustration of what life is about. It’s why I love sport so much. When I’m not at a tournament, I usually get up around 08:00–08:30, have breakfast at home and go to the training centre. I warm up with a short physical workout, do a couple of hours of on-court training, then I have a physio session, then lunch. In the afternoon I do an hour and a half to two hours physical training. That’s when I’m not travelling. Take advantage of the travelling to see new places and experience new things. But remember your family and friends are waiting for you back home. Knowing that really helps. Having that support network can be useful during tough times in your career. After a bad match or session I feel sad. I think about what happened and I look for a reason to keep going, for motivation to improve. There are always opportunities. What I love about tennis is that every day you get the chance to look for ways to improve. It’s tough keeping a routine when you’re traveling. I don’t usually have friends, family or my girlfriend with me. But it’s much easier now to keep in touch with WhatsApp, FaceTime and Skype. Seeing those people, even if just on a screen, can mean the travelling’s not so tough. I get away from tennis by watching football. That’s my passion. I can’t play as I need to be careful with my body. But I love watching it. I like all sports – motorcycling, cycling, horse riding, canyoning, basketball, golf. I love seeing that competitive spirt. What keeps me level is spending time with my friends and family, being at home on the sofa, watching TV, going out for meals – what normal people do every day. 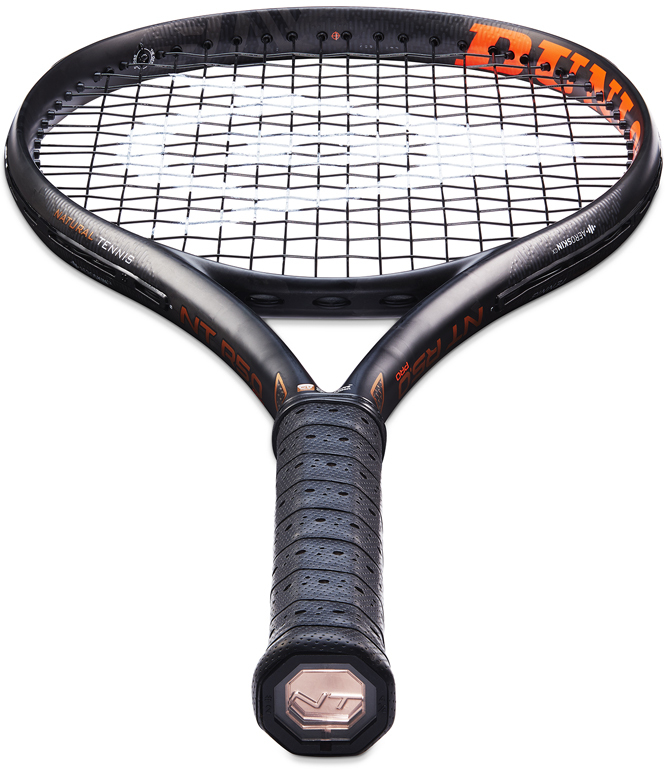 The ideal all-round tennis racket for tournament players who expect absolute power. An unstrung weight of 299g, a hitting area of 100sq inches (645cm²) and a top-heavy balance, combine for excellent power with great control.